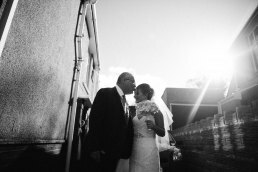 “Karl and I chose Richard Savage Photography after a recommendation from our wedding planner. 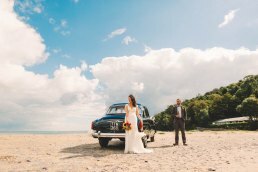 Richard was in the early stage of his wedding photography career 2 years ago when we booked him, but his knowledge of the industry and professionalism sold us. Richards work we had seen was amazing and he made us feel very comfortable. When the big day arrived, Richard and Gemma helped calm my nerves and made me more excited to see my husband to be. Richard captured such personal and emotional shots, beyond what I could imagine. Even after the big day, Richard and Gemma have kept in touch with the progress of our photos and album and have made us feel welcome in their home. 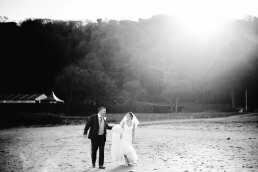 “As someone who had sworn to never set foot in another wedding fayre, I’m so so happy that I let myself get dragged back to that last one in Carmarthen where we found Rich and Gemma! 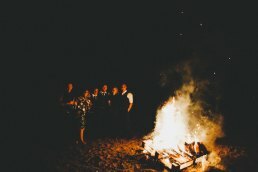 From the moment I saw their photography and how each wedding was so uniquely captured and personal, I just knew they would be the perfect choice for us. From our initial meetings right through to sorting the wedding album, Richard and Gemma have been fantastic! 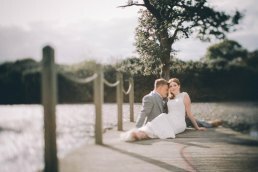 They made us feel so comfortable and at ease on our wedding day, that I didn’t even question Rich when he asked me to wade into knee high wet grass in my wedding dress (the pictures were so worth it!!). The photos he took perfectly captured the feel of the day and every time I look through the photos it feels like were right back there living it all over again. 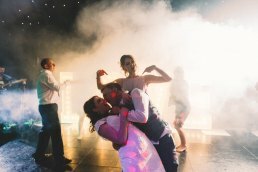 We couldn’t recommend Richard Savage Photography enough, we’ll be cherishing our photos for a lifetime as I’m sure anyone who’s had the pleasure of having Rich and Gemma be part of their special day will be as well. We are so lucky that we met Richard and Gemma. From our first meeting it was as if we were sat with friends. They took the time to really get to know who we both were and what was important to us. This gave us complete faith in having them with us on our special day! Richard makes you feel so relaxed, to the point at times you don’t realise he’s there! This results in capturing those ‘real’ moments, full of emotion, joy and love. 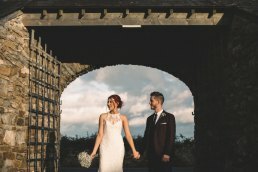 You can literally relive your whole wedding day through your photos, feeling the same emotions as you did that amazing day! If I could impart any advice to future Brides and Grooms I would whole heartedly recommend Richard and Gemma. We booked a photographer and gained a friend!”. 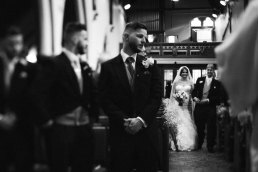 “From our very first meeting with Richard and Gemma, my then husband to be and I instantly felt comfortable and confident that these were the photographers we wanted to capture our special day. After leaving a wedding fayre where we initially met Richard & Gemma we decided to meet up again as soon as possible. Rich, Gemma and their little boy Charlie, welcomed us into their home to share some of their stunning pieces of photography with us. We were both blown away by the photos and how each album was unique to the individual couple. During the 2 years before our big day we had an engagement shoot with Richard, this allowed us more time to get to know Richard and that really helped us to feel at ease and relaxed in knowing how Rich works and he also got to know us better. 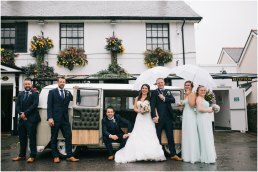 On the morning of our special day, Rich captured every small detail, while Gemma organised the groomsmen, folded the pocket squares and even washed the dishes  From the moment they arrived everything felt natural and we didn’t even know they were there! The day flew by and Richard and Gemma didn’t miss a moment and our beautiful photos prove this. Both my husband and I don’t like having our photos taken, however our wedding album is simply breathtaking. Each print captures something special. An added extra they provide is a highlight Slideshow of the photos that were taken on the day. The variety of locations and settings that Richard suggested have made these places memorable to us as a couple. Although it was raining and the weather was torrential, this didn’t dampen Richard and Gemma’s spirits and their energy and enthusiasm was infectious. We would highly recommend Richard Savage Photography if you want an exquisite set of pictures to keep forever”. Click here to see their story…..